Miracle taught by Morne, the Archbishop's apostle. Intended to grant the dying a few moments for a final farewell. Tears are shed for the sake of the living, more so than the deceased. It only expires when reaching 0 HP, which means you can rest at bonfires and even unequip it, thus freeing up two spell slots while still being under the effects of the miracle. 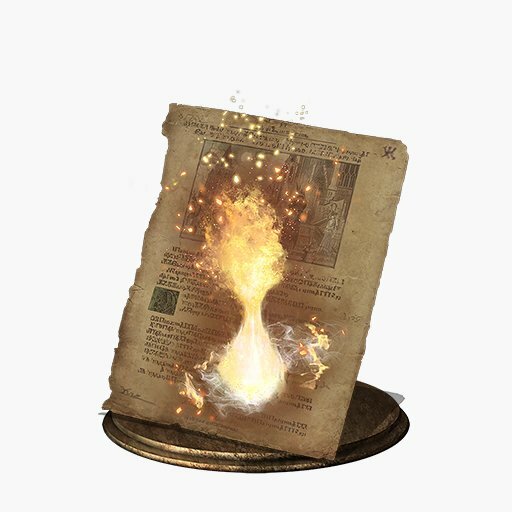 The effect will be removed if you travel to another area (using a bonfire/Homeward Bone/Homeward miracle) or if you quit the game. The effect will also be removed if you buff yourself with Flash Sweat, Oath of Sunlight, Power Within or Deep Protection. Will not be activated if you are cursed, you will still die regardless. Will persist after you kill the third Lord of Cinder and being teleported to the Dancer boss room.